Miralem Pjanic believes Cristiano Ronaldo learned to keep things simple from Manchester United great Paul Scholes as the Juventus midfielder praised his superstar team-mate. Ronaldo is regarded as one of the greatest players of all-time with five Ballon d'Or awards, five Champions League titles and a European Championship crown in 2016 among his haul of 26 trophies. The 33-year-old forward was also Real Madrid's all-time leading goalscorer before joining Serie A champions Juve for €112million in the off-season. Pjanic highlighted the impact of Scholes on Ronaldo, who spent six seasons with the former United midfielder at Old Trafford, where the Portugal captain arrived as an extravagant and overenthusiastic teenager in 2003. "If you look at Ronaldo when he was in Manchester and then at the Ronaldo who became the best player in the world, you can see his game has changed. His game became more concrete," Pjanic told the Guardian of Ronaldo, who scored his fifth Serie A goal from nine games in Saturday's 1-1 draw against Genoa. 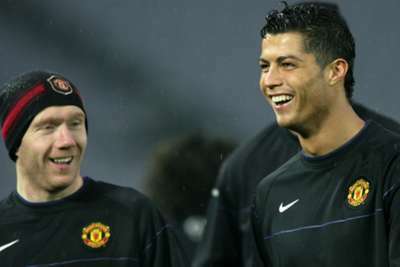 "I've read a lot of things [Ronaldo] has said about Paul Scholes and how he trained. Everyone talked about Scholes as being extraordinary, but not because he was out there doing dummies. "By keeping things simple, he made himself special. I think Ronaldo learned from players like that." On his own game, Bosnia-Herzegovina international Pjanic said: "I'm not someone who can do 10 stepovers or backheels – I'm not very interested in that. I'm more fascinated by the simplicity of play, because the thing that makes this sport so beautiful. The simplest things are often the hardest. Not everyone can do them. "I had the good fortune to see players like [Zinedine] Zidane, Xavi, [Andres] Iniesta, [Andrea] Pirlo up close. They all make things simple for their team. They make their whole team play well with little things that don't always get noticed. They reflect on what's happening and take action to make life easier for guys around them." Juve are four points clear atop the table following their unbeaten start to the season as they chase an eighth successive Scudetto. Napoli have lost out to Juve in two of the past three seasons and while a fan of the club's style of play, Pjanic would much rather win silverware. "Napoli, in recent years, have played beautiful football. But a title, a cup, celebrating with your team, making the fans happy, that's the reward for all the hard work you put in. Something you get to keep," the 28-year-old added. "When you play well and you don't win, in the end, you get tired. You've lost something. You've lost time."